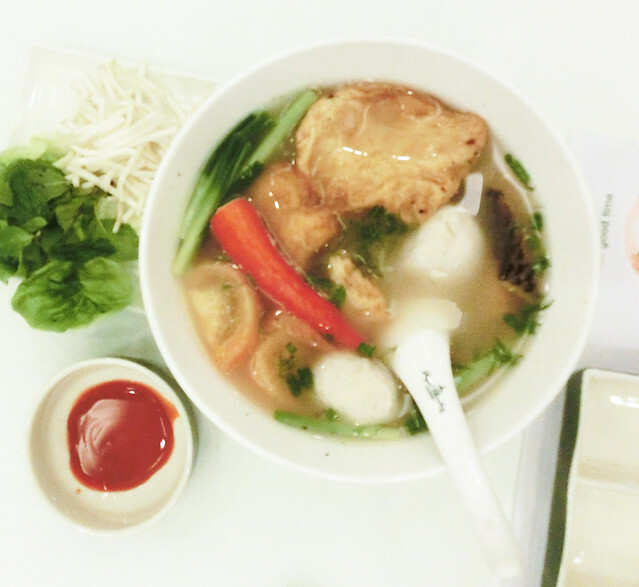 Good authentic vietnamese cuisine is pretty hard to find in Singapore. Aunthentic vietnamese food features a combination of five fundamental taste: spicy (metal), sour (wood), bitter (fire), salty (water) and sweet (Earth). Usually, each vietnamese dish has a distinctive flavor which reflects one or more of these elements. Common ingredients include fish sauce, shrimp paste, soy sauce, rice, fresh herbs, fruits and vegetables. Vietnamese recipes utilize lemongrass, ginger, mint, Vietnamese mint, long coriander, Saigon cinnamon, bird's eye chili, lime and basil leaves. Authentic Vietnamese cooking is greatly admired for its fresh ingredients, minimal use of oil, and reliance on herbs and vegetables. With the balance between fresh herbs and meats and a selective use of spices to reach a fine taste, Vietnamese food is considered one of the healthiest cuisines worldwide. 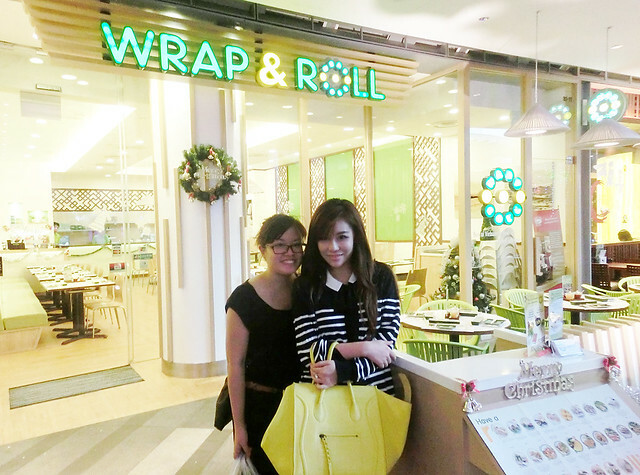 I went to this food tasting session with my sister. 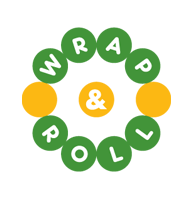 Upon arriving at Wrap & Roll, we were greeted by a cheerful and friendly vietnamese waitress. 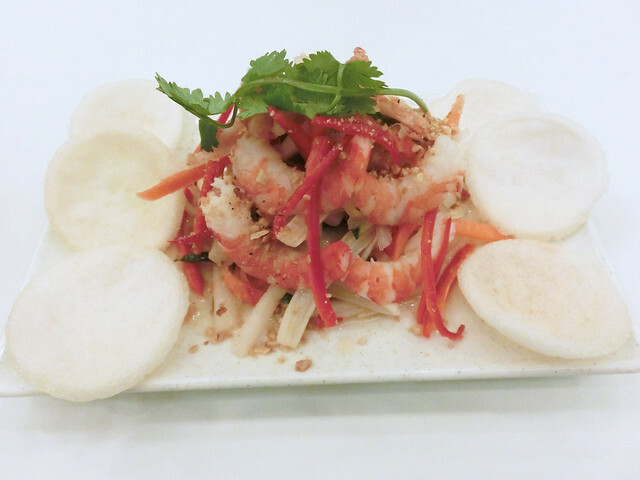 We ordered the Gỏi ngo sen : Lotus Shoot Salad with Prawns. This dish was well presented and seasoned perfectly. The crackers added a crunchy texture and together with the peanut sauce, it tasted delicious. We also ordered the Bánh ướt cuốn thịt nướng : Grilled Pork in Steamed Rice Paper Rolls. 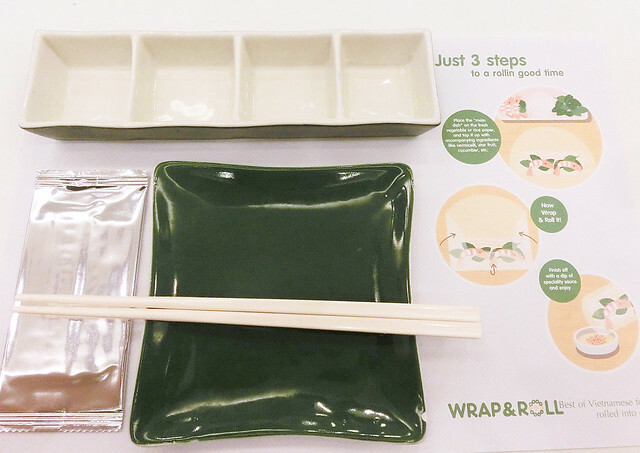 You can choose to wrap your own rice roll or get the waitresses to do it for you. I asked them to do it for me. Every bite gave us the feeling this was homecooking at its best, not pulled out of some bag. The ingredients truly represented how fresh they were. The taste of fresh mint leaves with the grilled pork was truly enticing. To be honest, this is too much for 2 pax, I believe it is able to cater for 4. 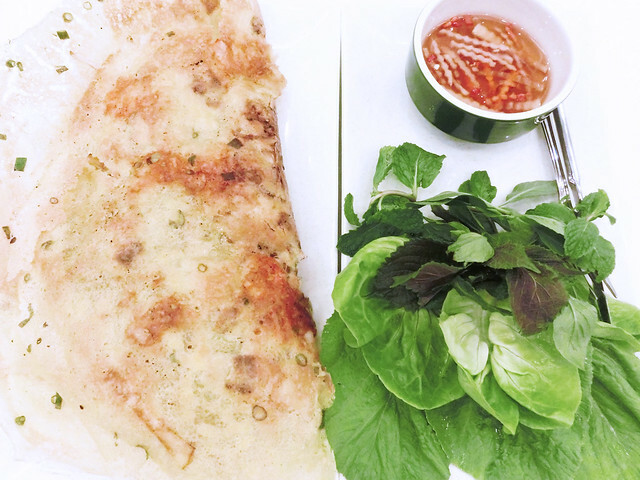 Each Bánh Xèo completely fills an oval-shaped platter and it resembles an omelet. 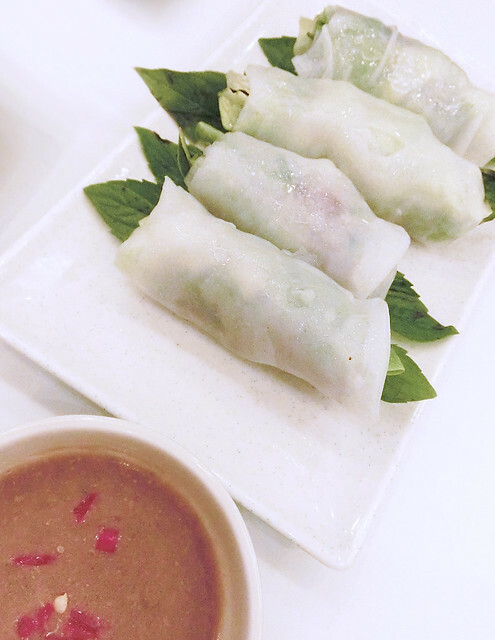 Bánh Xèos are served stuffed with fresh shrimp, onions and bean sprouts and fresh vegetables are placed on the side for accompaniment. 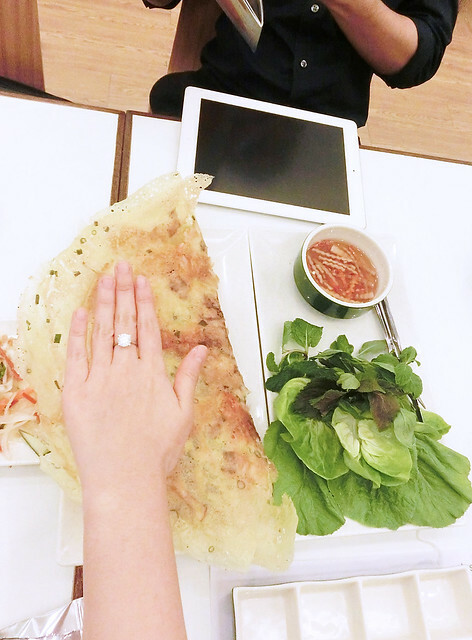 The banh xeo are shatteringly crisp on the outside, soft on the inside and also oily since it is pan fried. Next we had the Bún cá : Vietnamese Fish Noodle Soup. 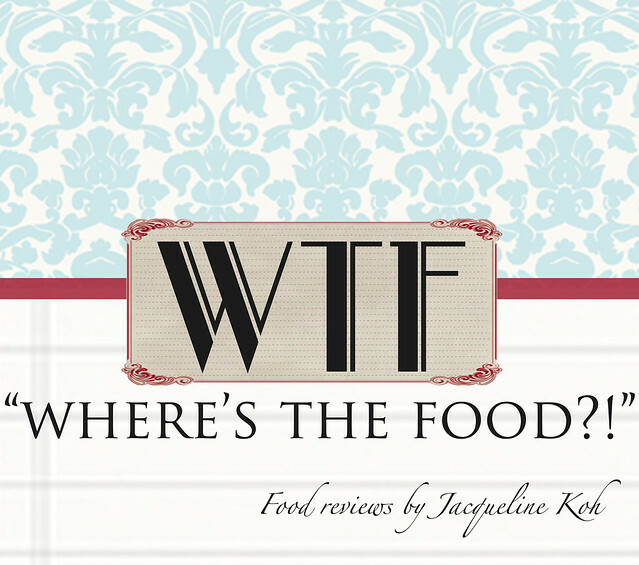 After tasting all the above, this dish simply lost its appeal. It tasted much like our local Yong Tow Fu. 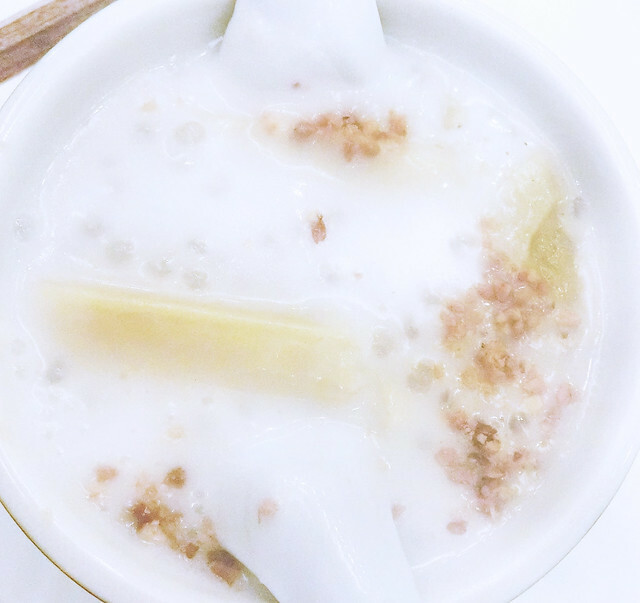 The best dish is always served last.... MY FAVOURITE part of this restaurant was its Chè chuối : Sweet Bananas & Sago in Coconut Milk served warm. Vietnamese desserts may not be the prettiest-looking sweets, but OMG they taste very good. Every mouthful was like a step to heave...... Oh yummy goodness~~~~ You truly need to try this dessert if you go there. The service was fast and polite. Restaurant was clean with simple furnishings. Do expect to spend about $60 for two. Address : THE STAR VISTA 1 Vista exchange green #B1-11.